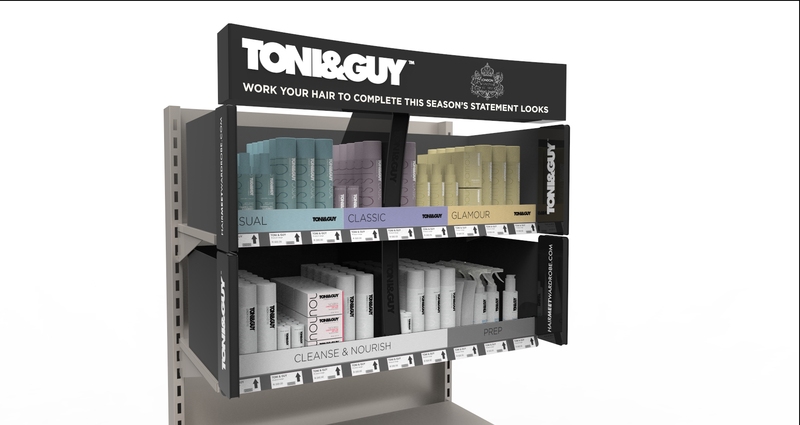 The Solution was created in order to more clearly demarcate and secure the brand’s valuable space on shelf and in order to enhance the customer experience of Toni & Guy. 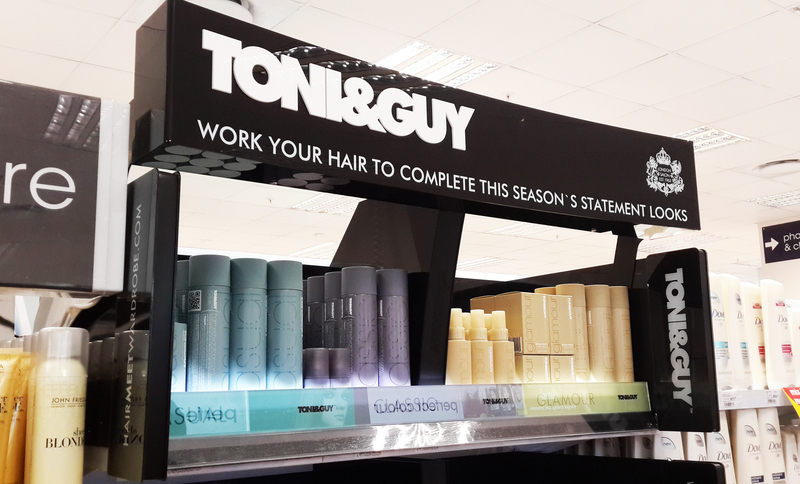 Toni & Guy is an international premium hair care brand. It was important that the chosen solution supported and reinforced their value. The look & feel was achieved by clever application of plastic, print and coatings to achieve this unique presence. The Tone on Tone look with different textures and materials makes this very simple design present complex and premium. One of the standout features of the design is the middle “column” that performs 2 functions. It is the structural member that holds the header and by placing it to one side, it creates an effective interruption. 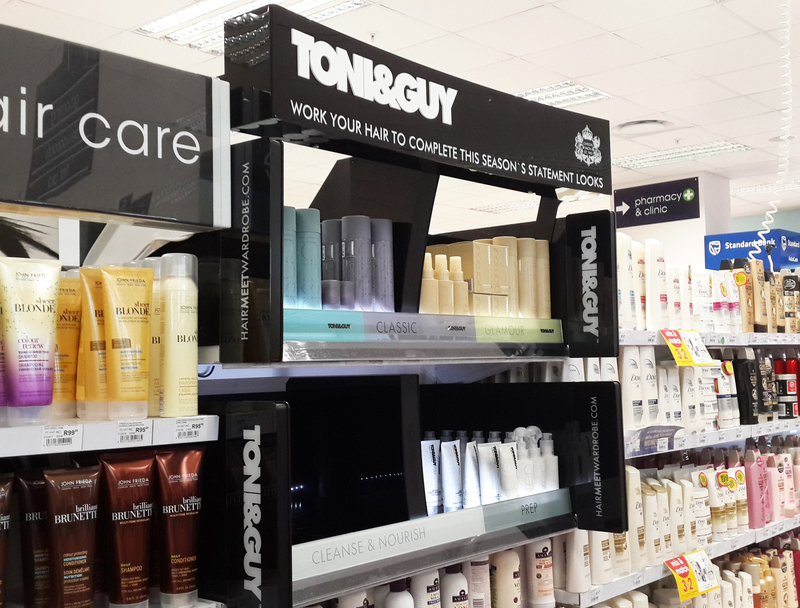 Unique, sophisticated, complex and great brand glorification.